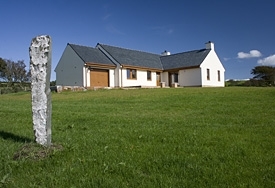 Set amidst the beautiful Scottish countryside in a peaceful rural location between Portpatrick and Stranraer, this luxurious self-catering lodge provides the perfect getaway and a warm welcome. 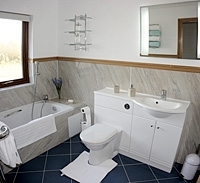 Built in 2009, the lodge has been designed to a very high specification and is fully accessible for people with mobility difficulties. 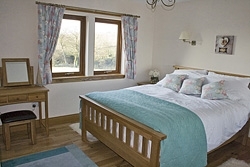 The interior features the finest decor with oak finishings, furniture and flooring with 100% wool rugs and a wood burning stove. 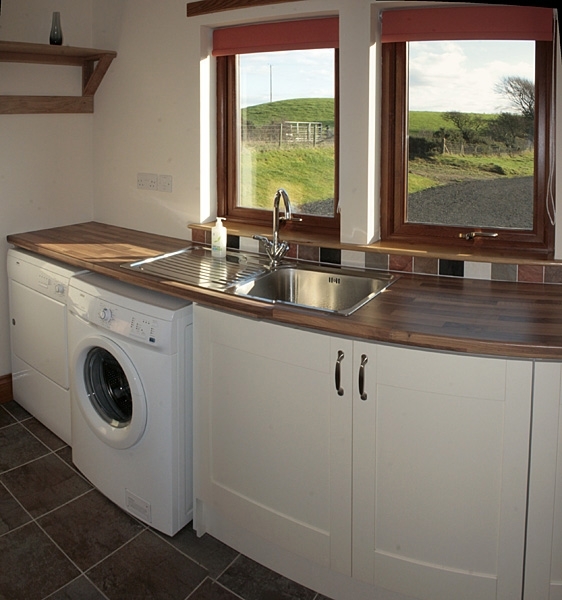 The traditional farmhouse-style kitchen is fully equipped with everything you need for your self-catering break and upon your arrival you will find a batch of delicious free range eggs and home-produced honey as well as tea, coffee and fruit. 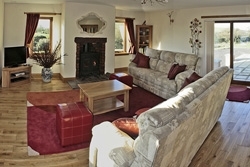 The lodge's welcoming front room has a wood burning stove with a good supply of logs provided as well as a TV with Sky. 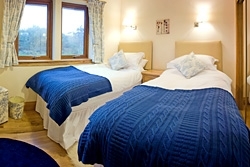 There are three comfortable bedrooms: two spacious double rooms and one twin with zip-and-link beds which can be joined together to create a luxurious super king-size bed. 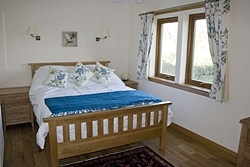 Egyptian cotton bedding and a choice of quality synthetic or feather pillows is also provided. 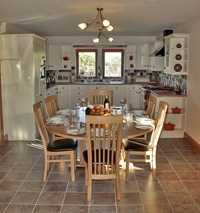 In the lodge's gardens you will find a barbecue and garden furniture as well as ample parking. Kenneling is also available on the farm. 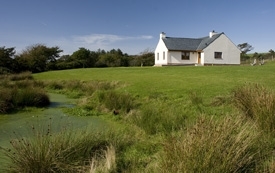 Just under 6 miles from the lodge, the picturesque fishing village of Portpatrick is a must-see with stunning sea views to Northern Ireland and a selection of excellent gift shops. 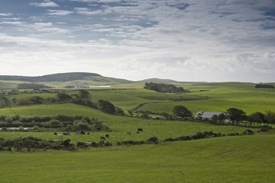 It is also the starting point for long distance trail, the Southern Upland Way. 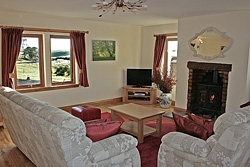 Here you also ideally located for exploring Stranraer. The town has two excellent local museums - the Stranraer Museum and the Castle of St John - as well as a history-themed town trail. The fantastic Agnew Park offers fun for all the family with pedal-carting, paddle-boats, miniature ride-on railway and an adventure playground.